Diffuse large B cell lymphoma (DLBCL) is characterized by clinical heterogeneity that is not fully accounted for by pathologic features. Furthermore, real-time treatment modifications and detection of relapse are typically guided by radiographic imaging modalities which are imperfect. Here, we review the potential utility of minimal residual disease (MRD) assessment for informing treatment decisions and detecting relapse. The most promising method of MRD detection is based on analysis of circulating tumor DNA in the peripheral blood of patients with DLBCL. This approach can predict outcomes and response to treatment as well as detect relapse prior to clinical signs of recurrent disease. While some studies of MRD in DLBCL have been in the prospective setting, the ability of this technology to alter clinical outcomes is currently unknown. MRD detection provides a non-invasive way to gather information about DLBCL at various time points throughout the disease course. Its role is evolving and should be incorporated into prospective studies in order to demonstrate an impact on patient outcomes. • Hossain NM, Dahiya S, Le R, Abramian AM, Kong KA, Muffly LS, et al. Circulating tumor DNA assessment in patients with diffuse large B-cell lymphoma following CAR T-cell therapy. Leuk Lymphoma. 2018:1–4. 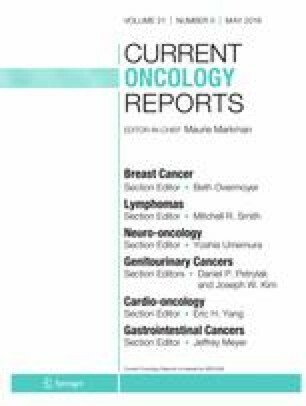 https://doi.org/10.1080/10428194.2018.1474463 This is a small observational report of 6 patients with DLBCL who underwent CAR-T therapy targeting CD19. MRD was assessed using IgNGS from plasma and correlated with both clinical and radiographic outcomes. Based on these results a larger, multi-insitutional study is underway.